Ranking fifth in India's largest car manufacturing industry, General Motors, has made the launch of Chevrolet Sail Sedan, an affirmative. Dated to arrive on 1st Feb of the year 2013, the wagon will be offered in two engine choices, a smartech 1.2 liter, 4 cylinder petrol and a multijet 1.3 liter diesel, from Fiat. If one has had a good driving experience with Chevrolet's Beat hatchback, then one needn't acknowledge much about the diesel engine of Sail. Since both are same with top power of 84bhp, to churn 116Nm torque. As far as Sail is concerned, both, petrol and diesel, will have a manual gearbox upto 5-speeds as a standard element to the car. As per dominance of the GM in Indian market, the new Sail is all set to make it mark in sales charts, since it has been the most anticipated of the upcoming launches by the firm. 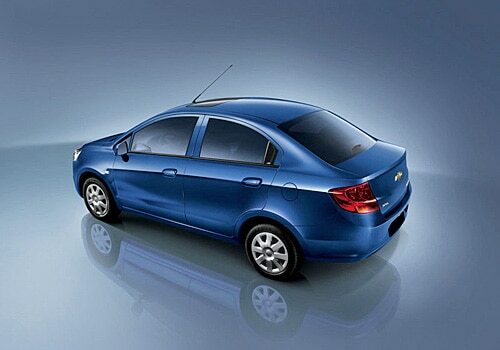 Chevrolet Sail Price tagging would start at INR 6 lacs. The wagon can cause some serious competition between itself and Maruti Suzuki's most admired Swift Dzire. Both are compact sedans. And love for compact sedans in the country is spreading like wildfire these days. The car as stated has caused anticipation as well as speculations and hunches, since it has been seen being tested on the streets in months upto today. 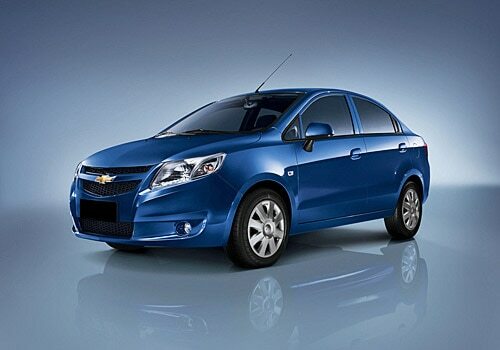 Upon GM's website and through other online sources you can take a good look at the Chevrolet Sail Pictures. You can get the notion that the Sedan is based primarily on recently released Sail-UVA hatchback, which shared the market with many Maruti Suzuki's hatchbacks. Swift Dzire to be brought in discussion again has set record sales in India in passenger car market and Sail Sedan in expected to break and obviously set new record, as a very fruitful gain to Chevrolet cars. Considering Chevrolet Sail Specifications, you get offered with twin airbags namely ABS and EBD. Has a twin cockpit design with a control panel placed centrally to dash that empowers you to play music, CD or MP3. Speaking of dash it comes with two tone theme. Black colored upper half comes with lower half colored with cream. About gear box you can stuff your stuff in the space that has been provided. Round shaped cooling vents face the front sitters and are being positioned at either ends of the dash. Instrument panel behind the steer wheel has been given a chrome finish that gives a very enticing look. Seats have been treated similar to the dash, the dual toned seats too attracts attention.